Tom Curry, a partner in Nutter’s Corporate and Transactions Department and co-leader of the firm’s Banking and Financial Services group, will present on fintech regulation at Money20/20 on October 21. 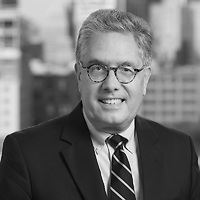 Tom will discuss “Navigating Uncertainty: Practical Advice on How to Engage with Regulators, Understand the Climate & Use It to Your Advantage,” in which he will draw from his experience as the U.S. Comptroller of the Currency to elaborate on how fintech and financial services professionals can best engage with regulatory bodies. Money20/20 is where the payments, fintech, and financial services ecosystem unites to create and explore the disruptive ways in which consumers and businesses manage, spend, and borrow money. At the event, c-level executives, renowned speakers, innovators, and disruptors from across the world unite to drive change in the future of money.